ModBargains.com provides GP Thunder H11 Fog Light Bulbs for all BMW models. Call to speak to one of our Modification Experts @ 714-582-3330 to save today. Are you looking to increase the aesthetics of your BMW F10 5-Series at night without breaking the bank? 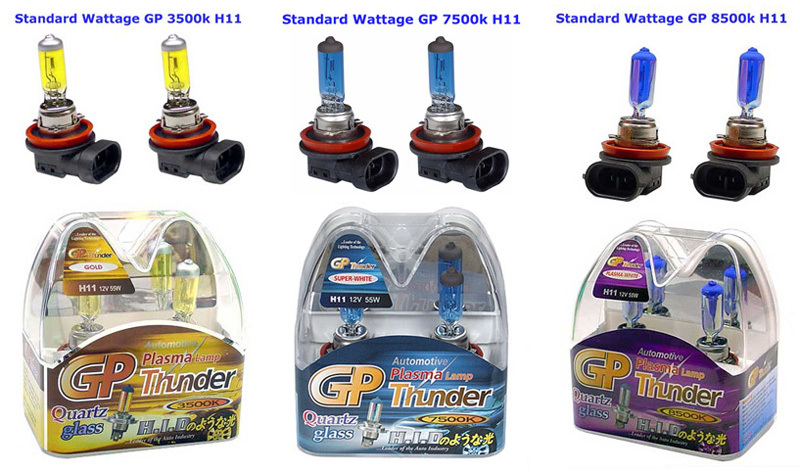 We have the solution with these GP Thunder H11 Bulbs. These H11 bulbs are an exact replacement of your stock fog light bulbs. They come in 3 different color options: 3500K (Yellow), 7500K (Super White) and 8500K (Xenon Platinum White). These GP thunder Bulbs are the best xenon white bulbs on the market. Quality is never an issue with this supreme quality light bulb. GP Thunder bulbs are made of fused quartz glass in order they may produce maximum power with a smaller bulb. Turn heads like never before with GP Thunder H11 Halogen Replacement Bulbs. What Does an HID Look Bulb Replacement Do?